It is my goal to make learning irresistible by creating a classroom with a culture of learning fueled by curiosity and interest. Amanda Lang, author of the book “The Power of Why” states, “Curious kids learn how to learn, and how to enjoy it – and that, more than any specific body of knowledge, is what they will need to have in the future” (Lang 2012). Instilling a growth mindset environment in my classroom helps my students develop cognitive processes of critical thinking, problems solving and performance skills they need to be successful. It helps me to prepare my students to thrive in the 21st century by imparting non-cognitive competencies known as grit, perseverance, and tenacity. Makerspace activities such as the event I created, 100 Minutes of making is a good example of how I incorporate these skills into learning. Today’s learning requires students to think for themselves. I help students take control over their learning. Living in the information age means that the teacher is no longer the keeper of knowledge. Their role has shifted to the encourager and facilitator of learning. Likewise the role of the student has also changed. Traditional passive learning has been replaced by active learners making informed decisions and thinking for themselves. I want my students to realize and capitalize on their potential. Carol Dweck, author of “Mindset: The New Psychology of Success”, writes that we can learn to fulfill our potential by moving from a “fixed mindset” to a “growth mindset” (2008). By implementing the growth mindset at the beginning of the year I lay a foundation of growth that can continue beyond the walls of the classroom. As an educator I help my students thrive on challenges. I help my students view failures as opportunities to stretch their abilities and grow. I establish high expectations in a risk-tolerant learning zone. I give feedback that focuses on process. Neuroscience research shows that we can grow our intelligence, in other words our minds are malleable. (Ferlazzo 2012). I believe my students can be as smart as they want to be and its my job to help them get there. . In addition to the growth mindset I use the principles of brain-based learning to foster active engagement, self-motivation and positive social interaction. “Brain-Based education is the active engagement of practical strategies based on learning and behavioral principles derived from neuroscience” (Jensen 2012). Brain-based learning involves learning about the brain and how it functions to find the best learning strategies. In my classroom I use many brain-based learning strategies. Brain-based learning takes into consideration attention spans. New learning also requires rest which I build into my lessons. After I cover a new challenging topic I give my students time to rest. Sometimes this is as simple as resting heads on desks for a few minutes or doing actual brain break exercises. Brain-based learning also involves using methods to increase cognitive efficiency such as teaching subjects at different times or changing, altering, or shifting activities. For example I teach math in the morning 1 to 2 times a week. Brain-based learning incorporates movement into classroom learning. In my classroom we get up and move and build movement into our learning. Brain-based learning stresses timely feedback. The most successful way I have found to give timely feedback is with the use of ActivExpessions especially with self-paced questions. I simply plug in the answers ahead of time and as they work on their math they plug in their answers to see if they are correct or if they need to try it again. Understanding the role emotions play in learning is also part of brain-based learning. Teachers can build in emotional influence such as risk, excitement, urgency and pleasure. It sounds weird to use fear to fuel learning but I like to replace fear with knowledge and so we study things like bees and spiders. Brain-based learning also examines sources of demotivation and emphasizes helping build students’ intrinsic motivations. Outside factors such as poverty, nutrition, hormones, sleep, etc. are all things that greatly affects the brains ability to learn. Brain-based learning involves creating environments that embody respect, embed social skills and empower the learner. Brain-based learning is all about active learning. Brain-based learning is at the base of all great teaching. It is the foundation of differentiation. Brains are complicated organs and they develop at different rates. Students’ learning styles, interests and readiness all differ. 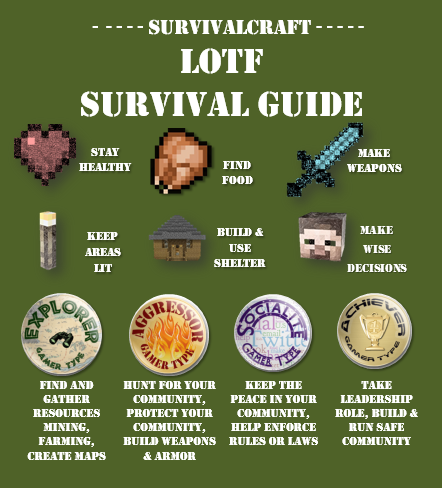 An infographic I created for Survival Craft is an example of how I can differentiate learning opportunities based on students’ interests. The more I understand my students the more equipped I will be to increase their cognitive efficiency. Dweck, C. S. (2008). Mindset: The new psychology of success. S.l. : Random House. Lang, A. (2012). The Power of Why: Simple questions that lead to success. Toronto: HarperCollins. 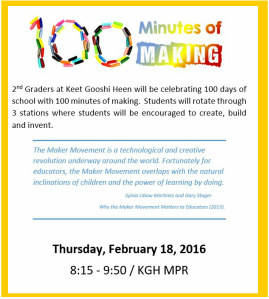 100 Minutes of Making was a celebration I designed and organized for over 100 students. My goal was to introduce the entire 2nd grade and their families to the world of making by celebrating 100 days of school with 100 minutes of making. At the celebration students rotated through 3 stations where students were encouraged to create, build and invent. This event not only demonstrated my management skills but also my ability to lead and model active engagement. 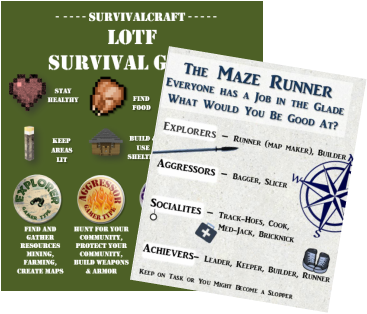 In addition to creating a Gamer DNA quiz I also created badges and infographics to help students and teachers use the information to customize lessons and activities. This demonstrates my ability to design and use management tools.